The 4000 series digital oscilloscope is a versatile, high performance mixed signal oscilloscope that incorporates many of today’s most advanced technologies and processes. Featuring bandwidths between 100MHz and 500MHz, sample rates up to 4GSa/s, 2 or 4 analog channels, and 16 digital logic channels, the 4000 is ideal for a wide variety of engineers working in communications, defense, aerospace, industrial electronics, R&D and educational fields. 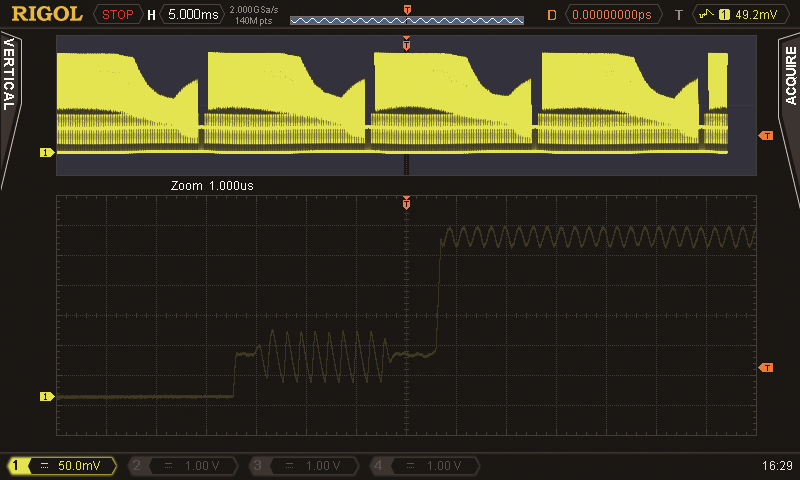 Never miss a transition or glitch with up to 4 GSa/sec sampling. Sample Rate describes the frequency at which the instrument samples the data. Higher the sample rate provides better resolution and finer detail of the signal being captured. 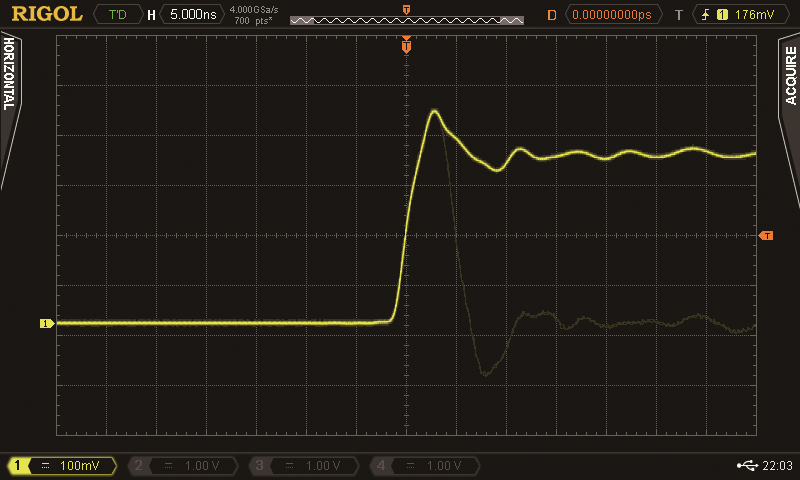 Mixed Signal Oscilloscopes (MSO’s) allow users to not only look at the analog behavior of up to 4 channels but also trigger, capture, and analyze the behavior of up to 16 digital channels at the same time. 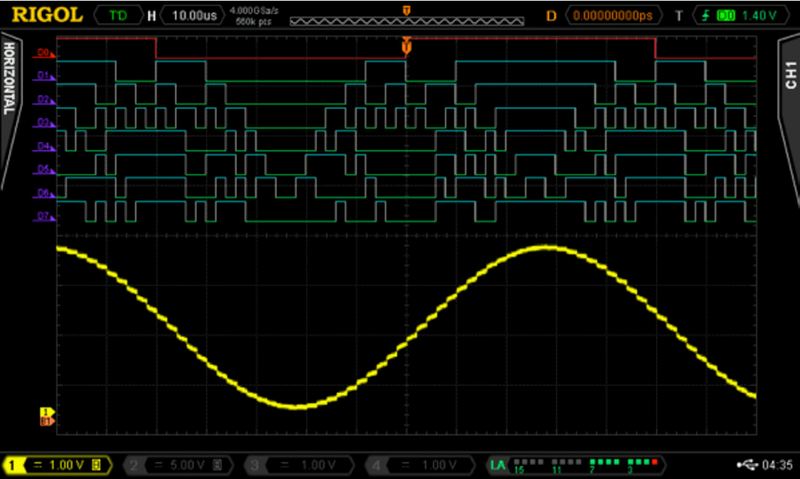 Serial Trigger allows the user to trigger the oscilloscope based on a specific pattern or word found in a serial data stream. 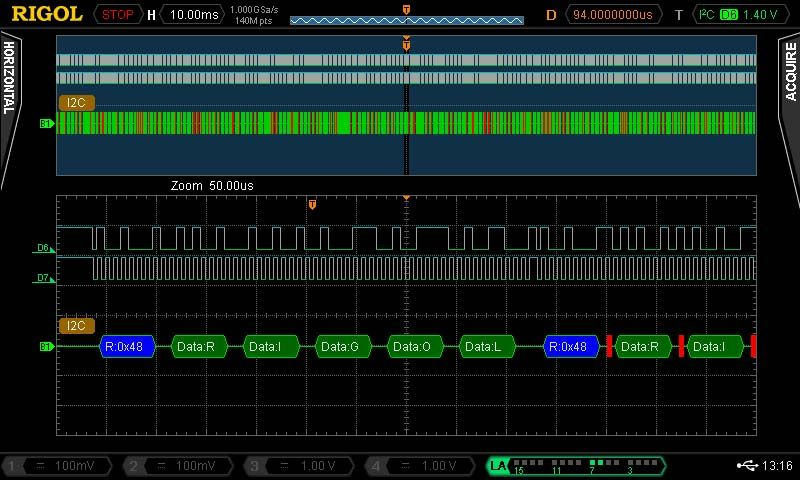 Serial Decode allows the user to convert the waveform into a decoded readable format which allows for quick determination of problems on a serial bus. 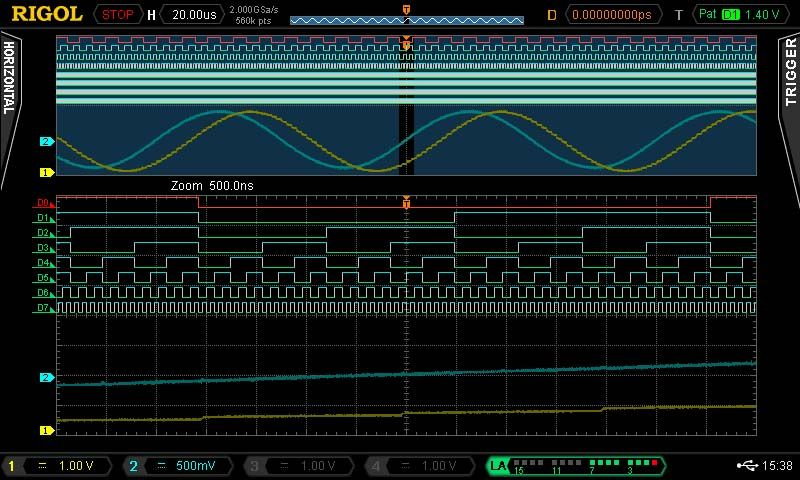 LabVIEW 2011 Example of Returning Raw Memory (deep memory) DS2000 DS4000 DS6000 LabVIEW 2011 General Example VI for DS Oscillscopes. Simple Excel VBA Control program for DS2000, DS4000, DS6000 Oscilloscopes UltraScope Getting Started Guide DS1000Z DS2000 DS4000 DS6000 UltraScope Remote Interface and Control SW UltraSigma Instrument Connectivity Driver C#.NET basic instrument communication example How do I install UltraSigma Compatible software? Serial Bus decoding bundle for the MSO & DS4000. Includes I2C, SPI, CAN, FLEXRAY & RS-232. Rack Mounting Kit for a DS4000 or MSO4000 Series Oscilloscopes. May be different than image. Rack kits are different for each instrument.